What is a Safety Shower? 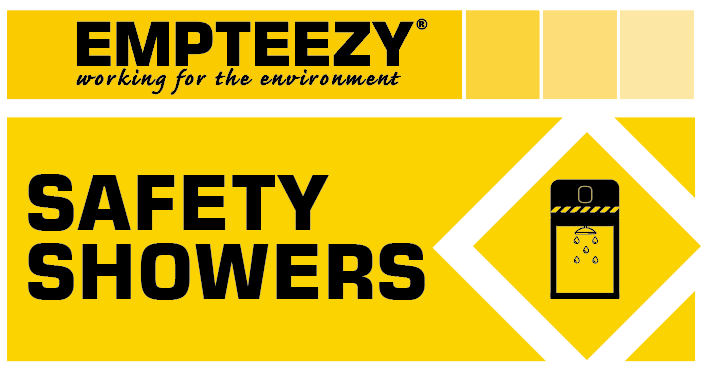 A safety shower is an essential piece of equipment designed to protect workers, particularly those dealing with hazardous or chemical substances. They are in place to ensure workers have access to flowing water to decontaminate them or remove any hazardous materials from the body. A safety shower is manufactured to wash a person’s head, body or both. They cannot be used to flush out eyes due to the high pressure of the water flow. As a large volume of water is used, often workers will need to remove contaminated clothing. Safety showers must be fitted with a stay open valve to ensure workers have continuous access to a water supply for 15 minutes without the requirement to keep hold of the activation device. These showers supply 15 minutes of tepid water without the need for the units to be plumbed in. Ideal for remote workers. These plumbed-in galvanised showers include both a showerhead and eyewash manufactured from ABS reinforced plastic or stainless steel. Ideal for factories or permanent working areas with access to 2 – 8 bar water pressure. Our heat traced decontamination safety shower is protected from freezing during harsh conditions. With a bullhorn eye wash system, it provides tepid water to conditions up to -25°c. Ideal for areas susceptible to cold temperatures but with water pressure of between 2 – 8 bar. Choosing the correct safety shower for your needs can be difficult. Our team of specialist advisors offer a free site assessment and bespoke product recommendations. Why not get in touch today?